My sales consultant Tim Lipa exceeded my expectations. I am very happy so far with everything. Hazelton sold me the car I wanted at a good price. Not knowing much about EVs, Hoselon made me comfortable enough to buy one. My Nissan EV has surpassed my expectations. Carig was very helpful. we have worked with him twice over the past three years and he has never left us disappointed. Will definitely lease from him again. I wish I didn't have to pay for my wiper blades, otherwise everything was fine thank you. The sales man I worked with was great. He listened to what I wanted and make my experience pleasant. Service manager Alex Lazary is great to work with. Kept me very well informed about auto issuyand sevice plan. Delivered on-time as I needed. I came in for an inspection and learned I needed new front brakes. I still have snow tires on the car, but was not pressured to buy new tires or extras at all. The staff is exceptional, they tell you exactly what your car needs, and the repairs are done in a very reasonable amount of time. I had some partially hidden damage on my car, and Hoselton's body shop diagnosed the problem. They repaired the front end, and painted it. The front of the car now looks brand new, and the car functions well. I am very satisfied with the work that they did. Without a doubt the BEST car buying experience we have ever had! Thank you Michael Petzing and Michael Tyson for taking such great care of us! We sincerely appreciate it! We went to the dealership to trade in my vehicle. I was assisted by Daniel Palermo. Daniel was so knowledgeable and pleasant. He answered all of our questions. He made us feel confident on our decision to purchase a vehicle. He helped us with getting a better vehicle. We are definitely getting our next vehicle from Hoselton. Thank you so much Daniel! The team changed the oil in my Tahoe and did the inspection very fast. They were nice enough to put my new registration sticker in my window also. Great service. Mike L. sales at Hoselton Chevrolet goes above and beyond each time we interface with him. He has provided us with honest information and excellent offers on our vehicles. 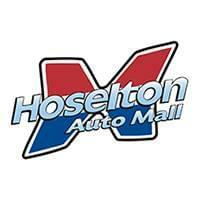 Hoselton is first class, whether you are buying or servicing your vehicle. During an oil change on my 2017 I stopped to check in with sales on a promotion and Kate did a great job of getting me into a new Volt. She was very helpful all along the way even with follow-up questions after I drove my new car off the lot.